We have taken several cruises in Europe over the last few years. While we do enjoy driving a car or traveling by train through the countryside and stopping in the quaint villages and towns along the way, we have found that moving from place to place, packing and unpacking, can be inefficient and exhausting, and river cruises offer a more relaxed and cost effective approach to travel. 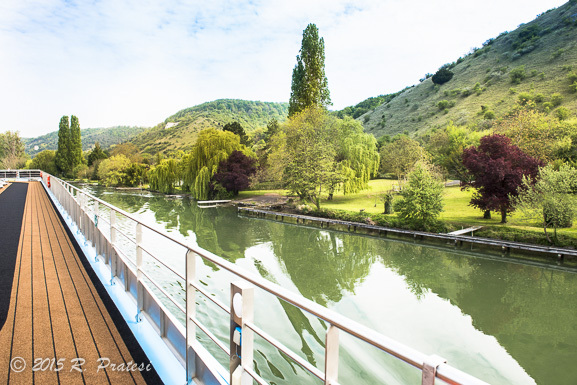 River cruises have become a very popular way to travel, particularly in Europe. Many river cruise lines have increased their fleets by as much as 50% in the last few years. Cruising the European waterways allows you to experience the stunning scenery while stopping in some of the oldest and most iconic European destinations. You can unpack once and still enjoy the unique towns and villages that at one time were only accessible by car. River cruises are unique in that they are not just about the destination, but focus on the “joy of the journey” with each itinerary immersing the passengers into the local history, culture, cuisine, and wines of the region. 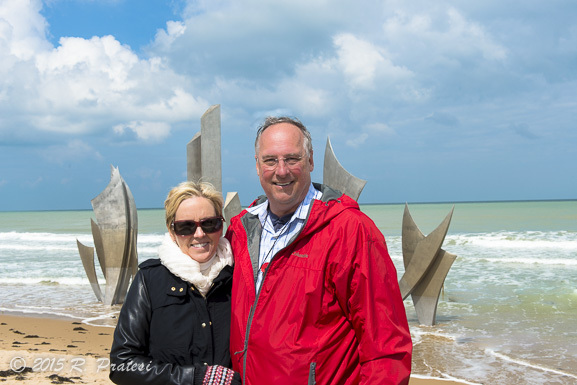 Last spring we traveled with one of the leading luxury river cruise lines, AmaWaterways, to fulfill two bucket list items: a visit to to Monet’s Garden in Giverny and the Normandy Beaches in France in the year of the 70th Anniversary of the Liberation of France. Roger had been wanting to take this trip for many years since his parents met in France after the D-Day Invasion in Normandy. His mother was an army nurse and his father was a soldier who was wounded in the war. It’s a story that could be made into a romance novel. AmaWaterways is consistently ranked as one of the top luxury river cruise lines in the world. In 2013 and 2014, they were awarded a “World’s Best Award” by Travel & Leisure. In 2014 they also won WAVE awards for having the “best staterooms” and “onboard dining (for river cruises)” by TravelAge West. With a strong focus on their culinary program, they are the only cruise line in the industry to be invited to join the prestigious Chaîne des Rôtisseurs, the oldest and largest food and wine society that was founded in 1950 in Paris. 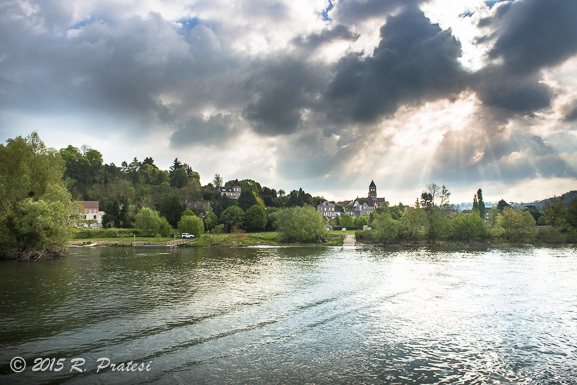 Every AmaWaterways ship cruising in Europe is a member of La Chaîne des Rôtisseurs. 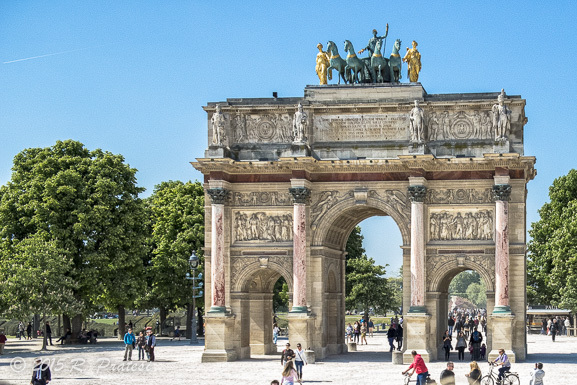 We couldn’t think of a better way to travel to Normandy than along the River Seine on a round-trip excursion from one of the most spectacular cities in the world, Paris. 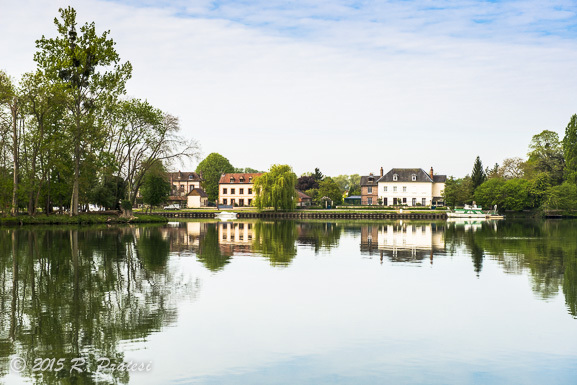 There’s a reason why there’s a song and a movie entitled “April in Paris.” Spring is the perfect time of year to visit the city, the Normandy region, and the Landing Day Beaches. 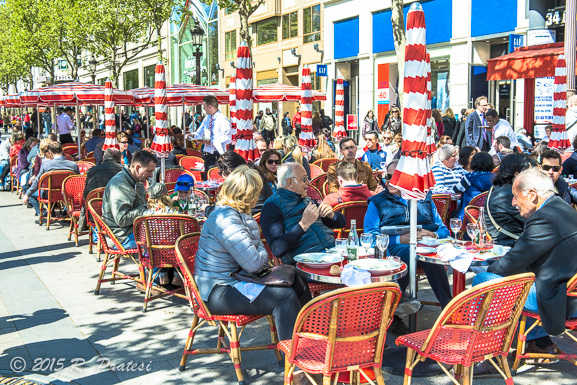 The sidewalk cafes in Paris are bustling with patrons, the Norman countryside is fertile and green with crops beginning to appear, the flowers are in bloom, and the spectacular skies are ever-changing with their brilliant blue colors and billowy white clouds. 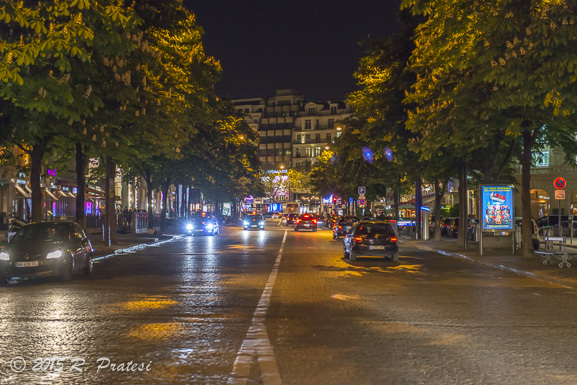 With Paris as the city of embarkation and debarkation for this cruise, many travelers choose to spend several days in the city before or after the cruise, just as we did. Here is a video overview of our cruise on board the AmaLegro. What a fabulous trip. We’ve been thinking about something similar for quite a while. It’s so nice not to drive. Great post! I’m trying to talk my husband into taking a river cruise. Your pictures are perfect. Packing and unpacking can be a pain. I will show him your post. Must be fantastic to travel around the world like that! I’m moving abroad by car in a couple of weeks and hope to have a great time just like you! Enjoyed your post and pictures so much!! We will be following in your footsteps in just a few weeks with AMALegro… We know the experience will be life changing – visiting the sacred grounds where so many American soldiers fought so fearlessly for Europe’s freedom from a Monster… Travel is a luxury but more importantly a huge reminder of how fortunate we are to call America home! God Bless you in all your travels!! Please let me know how you enjoyed your trip. Your posting of the trip got me even more excited. If you’re very interested in Claude Monet’s work and Giverny, you might enjoy this website and new book. http://www.monetspalate.com We just received our copy in the mail the other day. Enjoy the journey and safe travels!